Tales from a tribble: When Will We See This Cover On Time? When Will We See This Cover On Time? 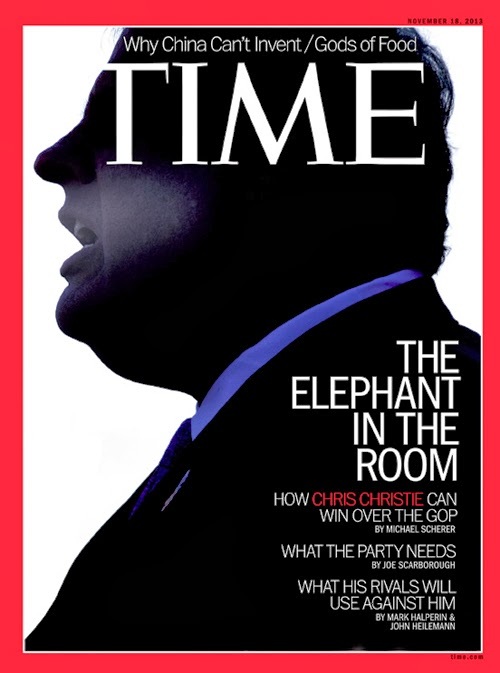 Time magazine has come out with it's new cover story of Governor Chris Christie, with a not so flattering silhouette of a big Chris Christie with the title, 'The Elephant In The Room'. Ha, ha, very funny Time. This is an obvious attempt by Time to allude to Christie's weight. Time magazine says they are not trying to make fun of Christie being overweight, but just using the elephant reference as the symbol for the Republican Party. Oh, really? 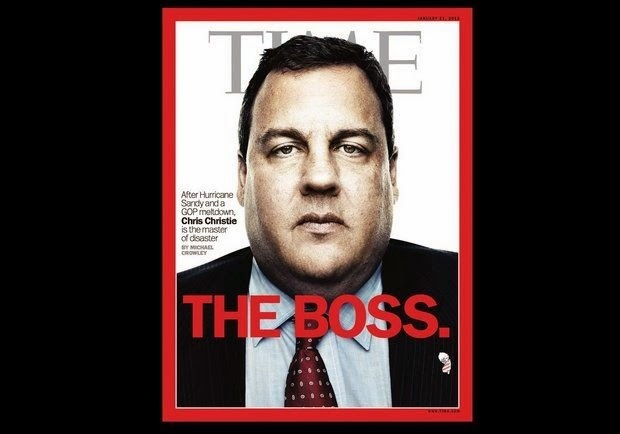 People forget Time Magazine in January of this year also had Governor Chris Christie on the cover with another unflattering picture of him with the title of 'The Boss'. Governor Christie rightly said then it looks like Time was referring to his Italian heritage with him being a mob boss. Time magazine has NO excuse for this cover showing Chris Christie as the elephant in the room, a definite reference to his weight. How low can you get? Shame on them! Yep, Carla and they would never do a cover like that on Barack Obama or Hillary Clinton or any liberal Democrat.